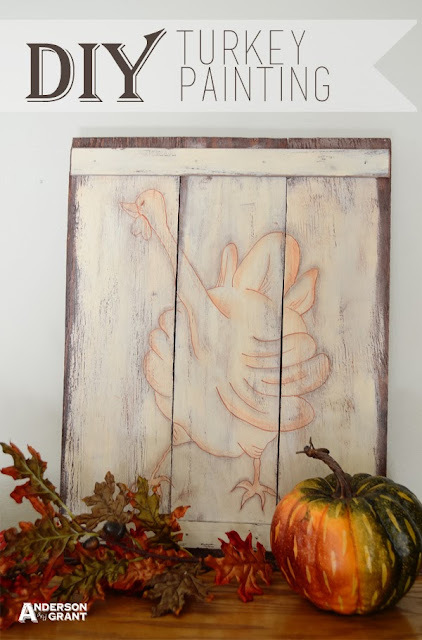 I've been really trying to think up a good Thanksgiving craft that I can share with all of you. One of the "symbols" I associate with Thanksgiving is a turkey. There are people out there who are able to paint a beautiful, colorful turkey, but I am not one of them. (Well, I may have the capability, but not the desire or patience!) 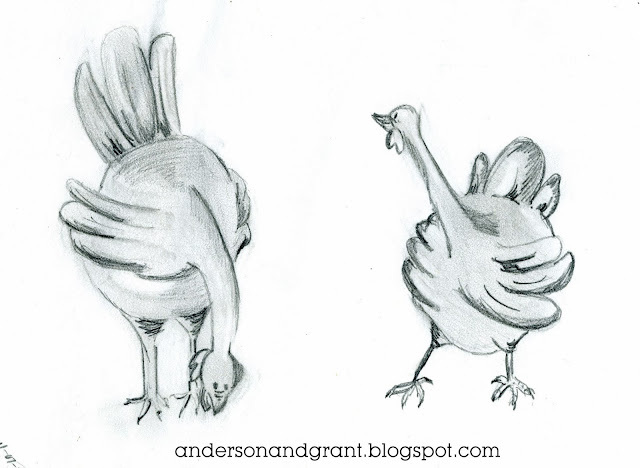 I realized that I could paint the outline of a turkey, however, and remembered I had a sketch I drew many years ago from a drawing a friend had made. 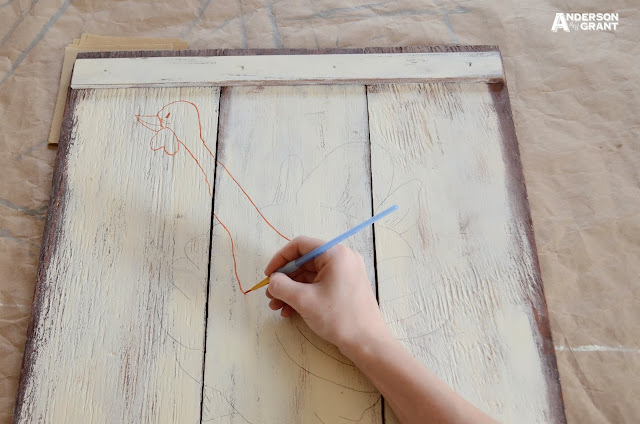 I wanted the turkey to be painted on something large and rustic. I found three small boards that had been scraps from a previous project and a thin piece of leftover trim and knew I could put them together to form a large rustic sign. 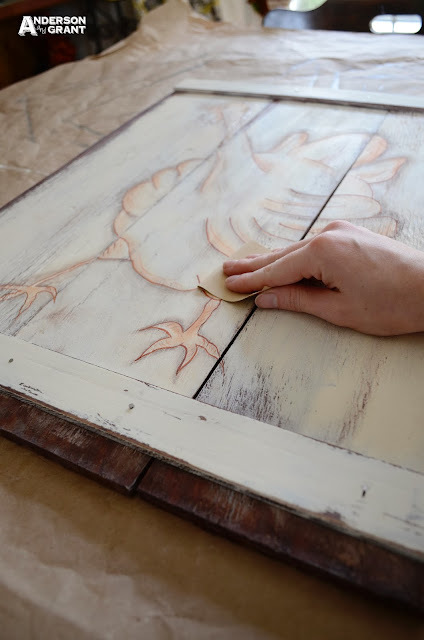 I think pallet wood would be perfect for this project, too! 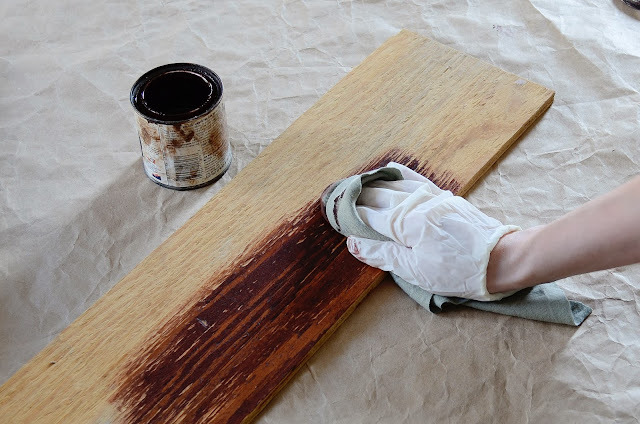 First I stained the boards. 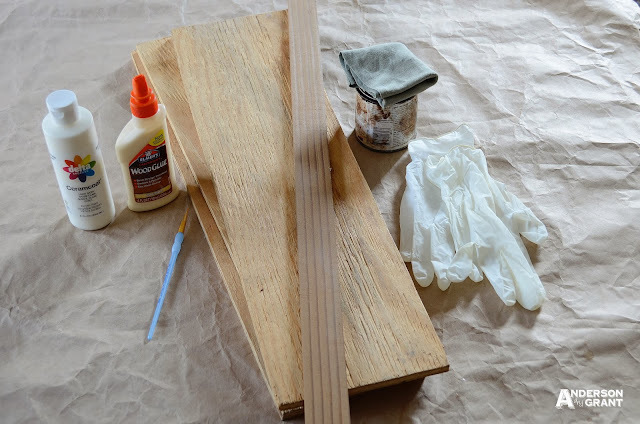 Make sure you wear some latex gloves for this step because stain is very hard to get off your hands. I had the unlucky experience of having two of the fingertips ripping off my gloves and didn't realize it, so believe that I know what I'm talking about here! 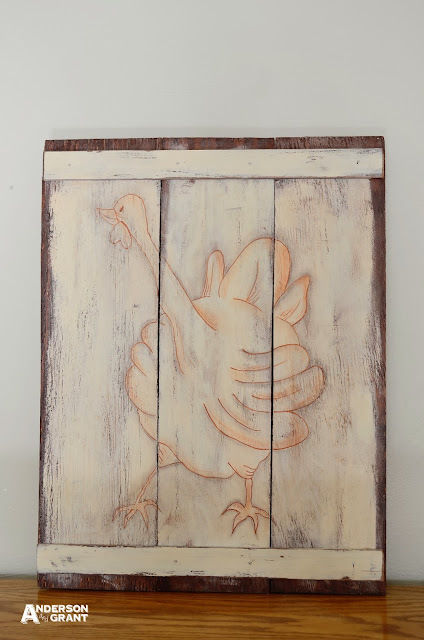 I originally was going to paint a white design on the stained board, but decided this might look a little boring. 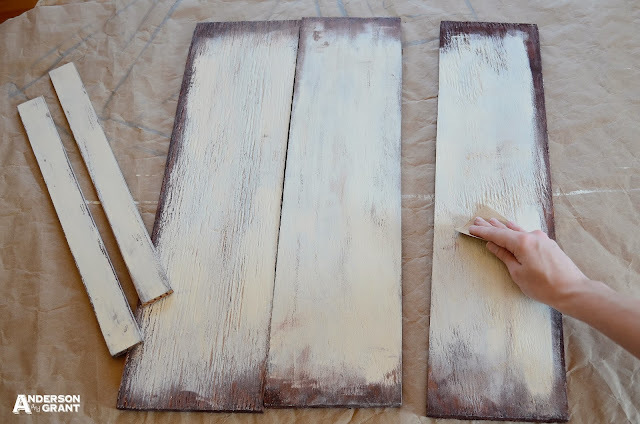 Instead, I painted the boards with a creamy colored chalk paint then distressed them around the edges to show the stained board. 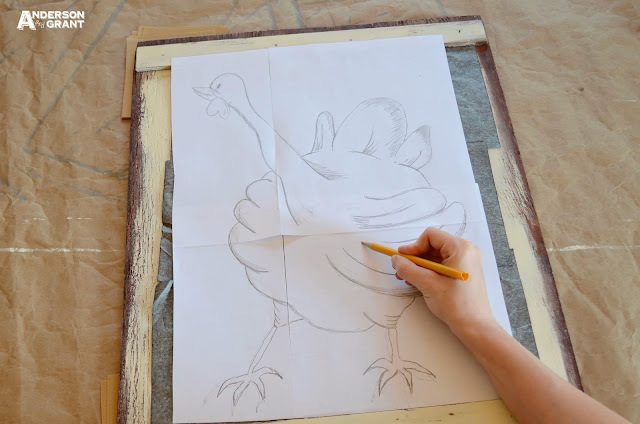 I used carbon paper to trace the outline of the turkey onto the boards. 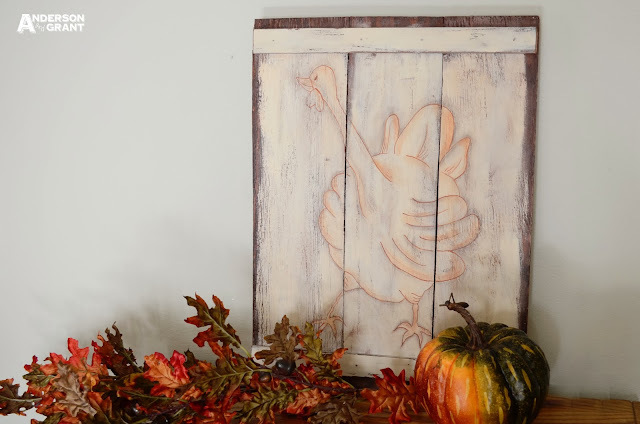 Using a liner brush, I painted over the carbon paper lines with burnt orange paint from Americana. 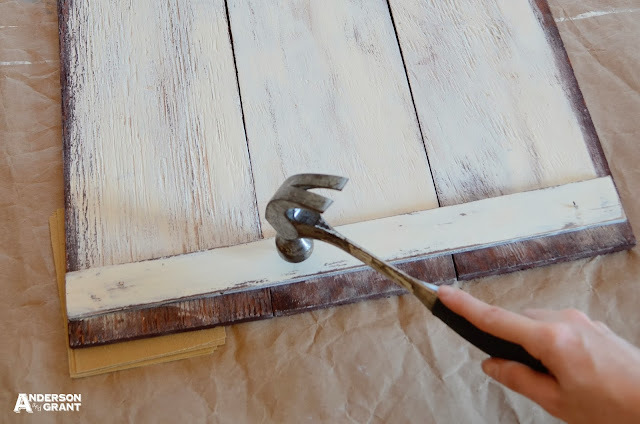 In areas I wanted to shade, I used a little water to thin out the paint and literally rubbed the paint into the wood. Then I shaded around the entire turkey with burnt umber paint using the same technique. I very gently sanded the piece to blend the paints together. Then I sealed the painted area and used a light coat of antiquing stain over the piece. 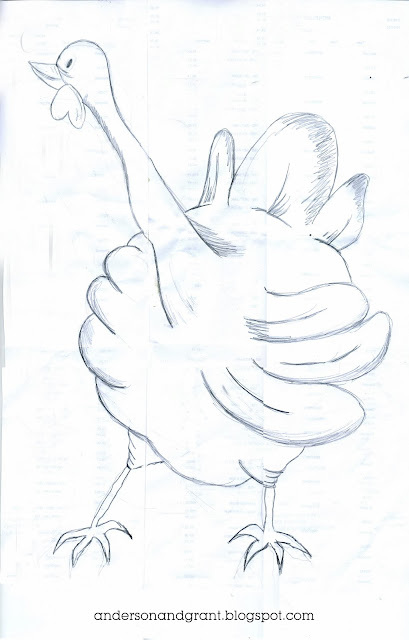 And just so that you could recreate this look for yourself, here is the pattern for your turkey picture. To use it, save the picture and then paste it into a Word document and adjust the size by pulling the corners of the picture. You can make the sign as large or as small as you want! 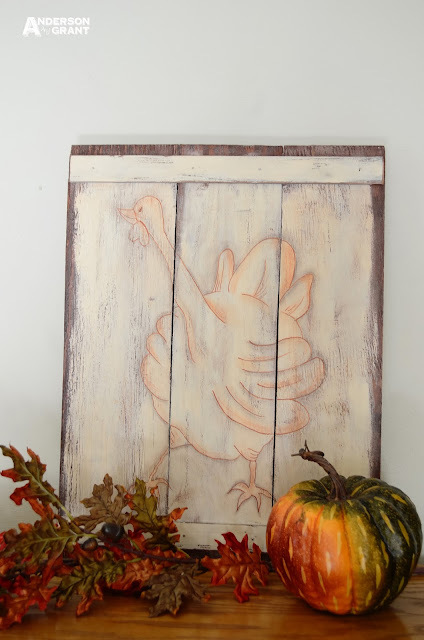 Even though I did a large version of this turkey, he'd be cute on a little board, too! I think he's a perfect, artsy touch to the holiday. What do you think? Happy crafting!